C.T.D is the premier choice for those seeking to move their personal vehicles from one location to another. As a division of the largest nationwide car shipping and vehicle logistics service provider, we’re always right around the corner. 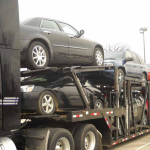 We have moved to a larger service area, higher quality professional car haulers, and patented technology that allows you to see the status of your auto transport online. 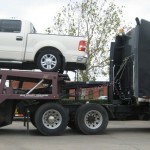 We know that choosing a car-hauling expert is a serious decision. Which is why C.T.D is committed to delivering your car on-time, and damage-free. Whether you have more than one house you call home, are moving cross country or cross city, are off to college, or are looking to travel. 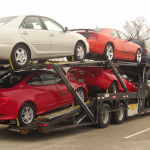 Car Transport Direct is built upon the power of over 3,500 vehicle carriers, operating from over 150 vehicle logistics centers across the country. We travel over 150 million miles annually for our customers, achieving our quality of service objectives 99.7 % on time and damage free. 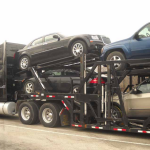 Car Transport Direct is the only vehicle logistics provider with a national footprint, covering the entire continental United States coast to coast, from Canada to Alaska. With optimization on all major corridors, we’ve created a national network concentrated on highways throughout the country. No state is out of reach; no city is too far. From the most remote rural village to the busiest city center, Car Transport Direct has a driver right around the corner. Retirees and snowbirds moving where it’s warm for the winter/ returning to summer cottages in the north where it’s cool. Buyers and sellers of cars online. And shipping antique cars and custom numbers to shows and auctions around the country.